I have always been a huge fan of Andy Warhol’s famous screenprints. If you’re not quite sure who I’m talking about… you’d probably recognize his work if you were to see it. He’s most famous for his Campbell’s Soup prints and his Marilyn Monroe series which you can view here if you’re curious. 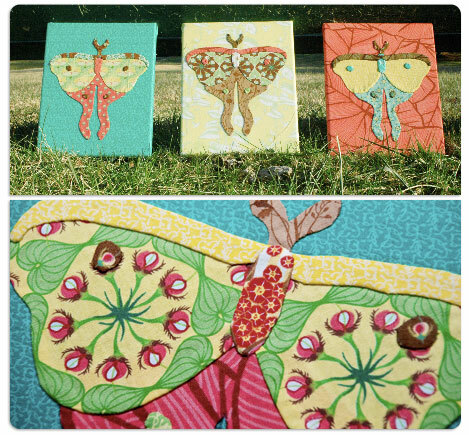 We’ve used the fabric line, Botany (which my mother and I recently designed) to create this series of “pop art” butterflies… It’s a great springtime project! I’m so excited to be posting my very first tutorial here on The Bake Shop! Please feel free to reach out with any comments or suggestions or questions! You can also find out more on our blog and website! 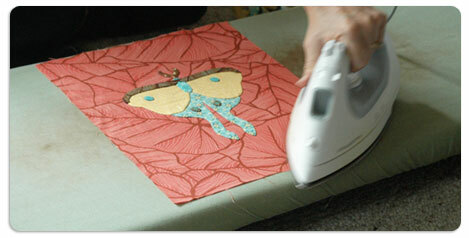 This pattern will make 3 appliquéd canvases. 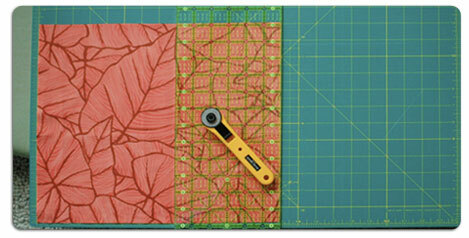 STEP 2 / Cut a 12” x 14” piece of fabric for background. 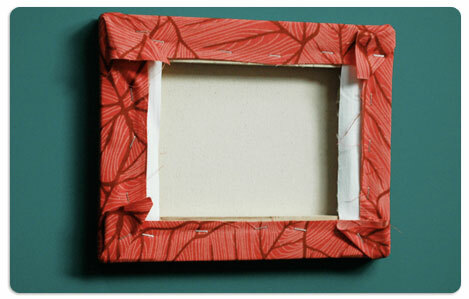 Fold square in half vertically. STEP 4 These are designed to print on an 8.5” x 11” sheet of paper. 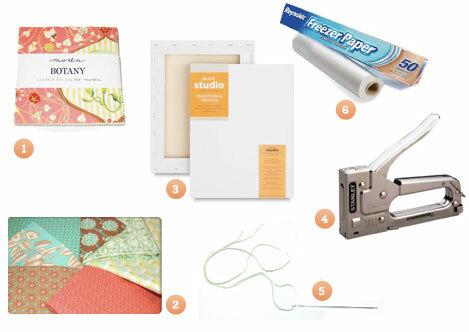 Hint: Freezer paper is semi-transparent, so lay it on top of the diagram, then trace. 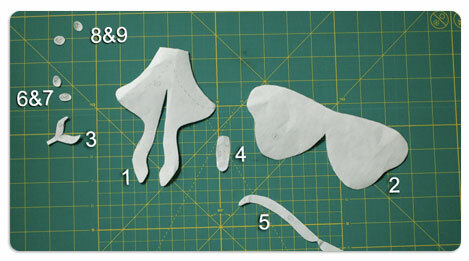 STEP 7 / Cut out drawn fabric pieces leaving a 1/8″ edge surrounding each piece. STEP 8 / Position and pin pattern pieces on to the background square, referring to fold lines and placement chart as guides. STEP 10 / Iron out fold lines. 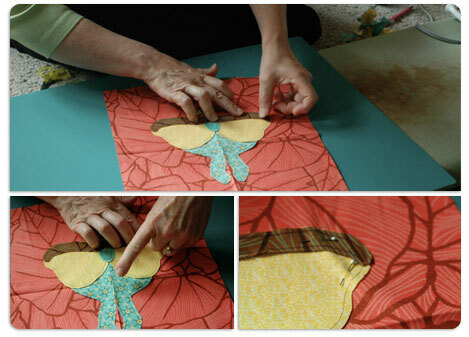 STEP 11 / Center the butterfly on the canvas. 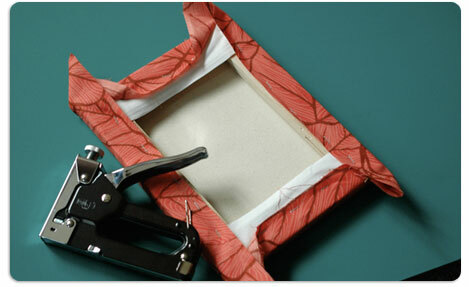 STEP 12 / Use a staple gun to attach the fabric onto the canvas. There’s no right or wrong way to do this, but I like to start by placing one staple into the middle of each horizontal bar (see left photo). Then I put a staple in the middle of each vertical bar (see right photo). STEP 13 / Then I work my way out from those center staples until I reach the corners of the canvas. 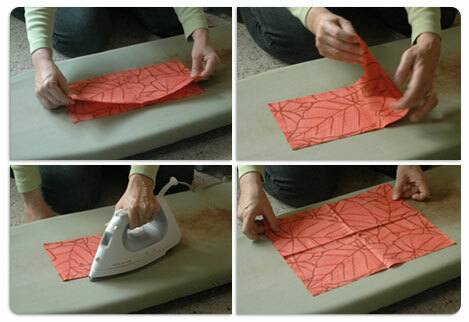 STEP 14 / To finish off the corners, fold the excess fabric over a few times and staple it into place. That’s it! 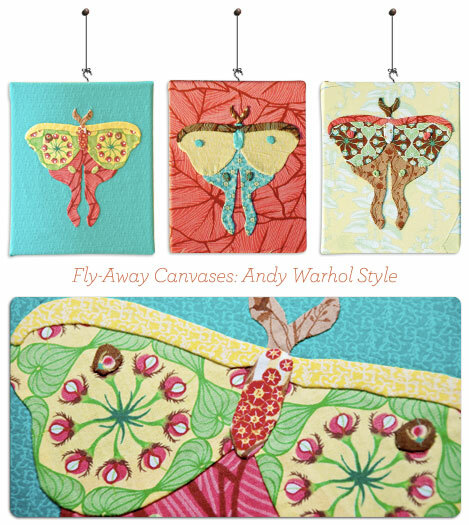 Enjoy your awesome set of Butterfly Canvases! 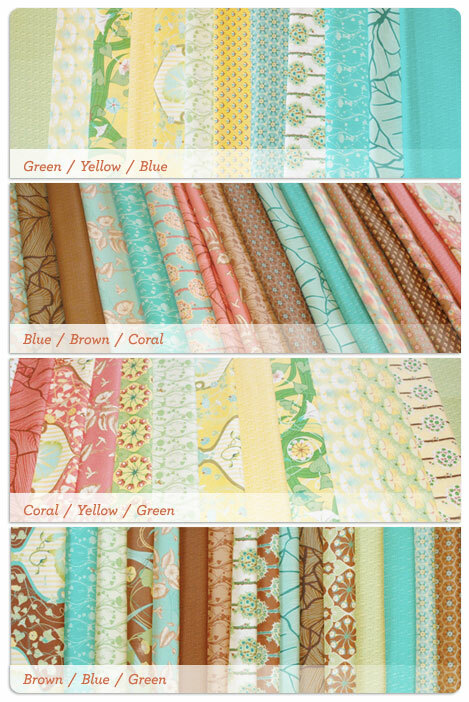 You can also check out our blog at www.LaurenAndJessiBlog.com for more fun photos and ideas… AND, you can find 5 more free patterns on our website at www.LaurenAndJessiJung.com. 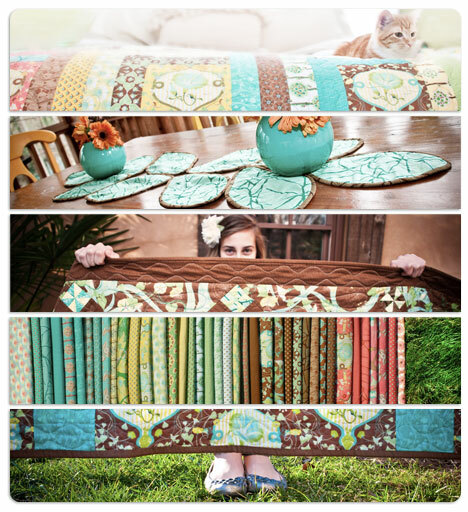 This entry was posted in Charm Pack, Easy, Fat Quarter Bundle, Home Decor and tagged Botany, Lauren and Jessi Jung.